ORGANISERS of Tweedlove, the festival of bike riding and good times on and off the bike in the cycle-friendly Tweed Valley in the Scottish Borders, are searching for up to 40 volunteers to work on a number of events from Saturday 11 to Sunday 19 June 2011. The Festival’s packed programme of free and paid mountain bike and road cycling events, guided rides, a music concert, a film night and youth and women’s activities celebrates the region’s rich cycling legacy and reputation as the premier cycling destination in the UK. Neil Dalgleish from Hillside Agency, organiser of TweedLove, said: “Volunteering at TweedLove will, we hope, be a fun and rewarding experience. Like any other major sporting event our enthusiastic volunteers are crucial to the success of TweedLove. Organisers need volunteers for a number of festival activities and support services. These include event marshalling, parking and traffic control, brochure distribution and signage and course installation. If you want to volunteer to work at the TweedLove bike week please contact Neil Dalgleish by e-mail on volunteers@tweedlove.com with your name, address, date of birth, phone number and e-mail address. Neil Dalgleish added: “The Tweed Valley is an area with hundreds of miles of the country’s best trails, tracks and roads. “So it’s not surprising that in the valley there are a remarkable number of resident bike enthusiasts, of both the mountain and road variety, to whom biking is a big part of life. “It is their enthusiasm, generous support and community spirit that makes TweedLove such a great success. TweedLove is again being organised by the local community, everyone from Scottish Borders Council and Lothian and Borders Police to local businesses, cycling clubs and organisations and biking enthusiasts. Their enthusiasm, generous support and community spirit makes TweedLove the great success it is. 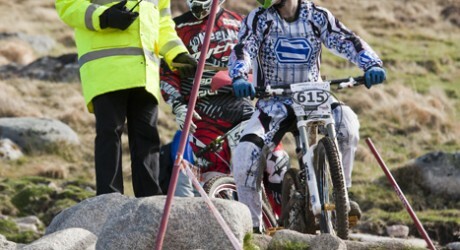 TweedLove was started in 2010 by local riders Emma Guy (from The Hub in the Forest at Glentress – http://thehubintheforest.co.uk) and Neil Dalgleish (from Hillside Agency – the guys who do all the Fort William World Cup graphics among other bike design projects – http://www.hillsideagency.com/) with the aim of reinforcing the Tweed Valley’s reputation as the premier cycling destination in the UK. It was a real success with well over 1,000 cyclists taking part, from across the UK and as far afield as Spain and Sweden. Some events sold-out and others were over-subscribed. – EventScotland is the national events agency. The Tweed Valley is an area with hundreds of miles of the country’s best trails, tracks and roads. So it’s not surprising that in the valley there is an astonishingly high percentage of cycling enthusiasts, of both the mountain and road variety, to whom biking is a big part of life. Many of them have moved to the area specifically for the trails and roads available direct from their back door. At one local primary school, 20 per cent of the pupils ride to school every day – the national average is two per cent.